If you are in the market for a beautiful lakefront home just minutes from downtown Grove, then you need to check out this Buffalo Shores South home that is offered for sale by owner at 2937 Old Dike Road. Note – This Home Has Sold! The heavily wooded, .97 acre (more or less) lot gives you a feeling of seclusion in the home but includes 100 feet (more or less) of gentle slope Grand Lake waterfront in a protected cove. 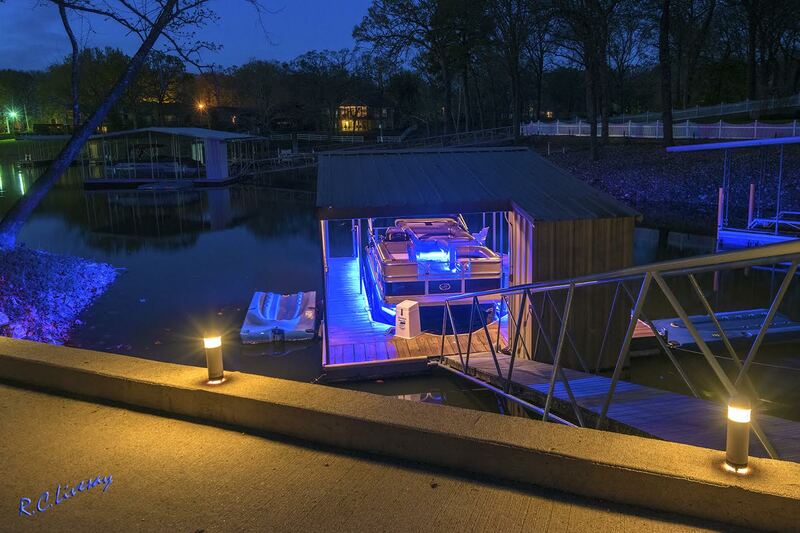 Access to the lake from the home is easy with a concrete golf cart path takes you to your dock and you can be out in open water in less than a minute! The home, built in 1998, includes approx 2,300 square feet of living space with 3 bedrooms, 2 1/2 baths and a bonus office. The large kitchen and dining area includes an eating area that overlooks your waterfront and cove. The covered and protected patio area can be accessed from the living room, breakfast nook and master bedroom and opens to a large open deck with easy access to your lakefront and everything that Grand Lake has to offer. You will find everything you’d expect in this move-in ready lake home, including granite counters throughout; walnut hardwood, ceramic and SmartStrand carpet flooring; master bath includes walk-in shower and jetted tub; custom blinds throughout; fireplace (gas or log); crown molding; 6 panel doors and vaulted and tray ceilings; and a 3-car garage. All appliances were new in October 2014 and the HVAC system is new as of Octoboer 2015. Bolt Fiber Optic internet service is connected to the home, offering you blazing fast internet from your lakefront home. 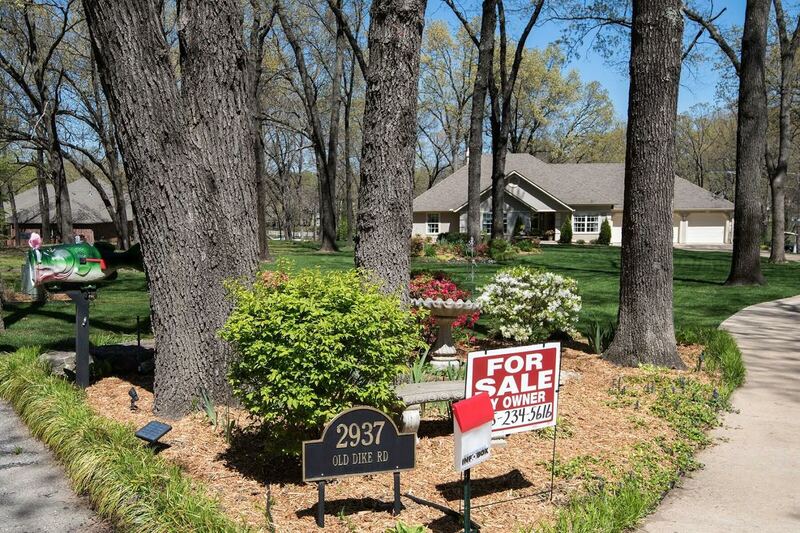 The beautifully landscaped and maintained yard is partially fenced, has a lake fed irrigation system and provides easy access to your lakefront where you will find a concrete seawall and a covered dock with a closet and a 4,000 lb electric boat lift. There are no HOA fees, but there is an optional $350.00 yearly fee for use of the clubhouse and pool, which has been paid in full for 2017. Buffalo Shores South is one of the premier developments on Grand Lake., with approximately 253 acres of beautiful homes, waterfront vistas and rolling wooded hills. The subdivision is located within the city limits of Grove, Oklahoma, and therefore has access to city services, such as garbage disposal, water and gas, street maintenance, and police protection. This home is being offered by owner at $429,900 and includes a Hampton Elite 22 ft pontoon boat with a 4 stoke Mercury motor purchased new in October 2013 plus the boat dock and electric boat lift. To schedule your private showing of this beautiful Grand Lake waterfront home, call or text Joe at 815-234-5616 or Vicky at 815-298-9275. But hurry…this home will sell fast!